The One State St. Garage entrance is located at 400 Columbus Blvd. Please note this is a secure garage.After 4:00PM gate will be lowered, please push help button and a parking slip with be printed. Thank you. Corner of Main Str. & Columbus Blvd. Kindly contact our Event coordinator Dominique Bester for all your catering needs and inquiries. ON20 maintains a singular mission: to offer guests the finest culinary and service experience. 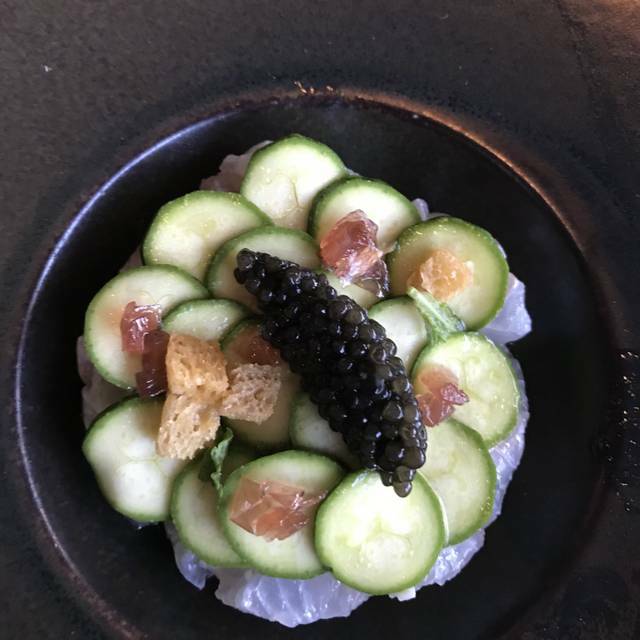 ON20 is one of OpenTable's Top Ten Restaurants for outstanding service, Zagat's top-rated restaurant in Connecticut, and named one of the 100 best scenic-view restaurants in the United States in OpenTable's Diner's Choice Awards. Treat Mom to an exceptional experience, celebrate Mother's day here on the 20th floor with amazing views and chef Jesse Powers' fabulous 3 course prix-fixe menu, $65 for adults. 6/5 - the best food we’ve ever eaten! We ordered the prefix menu which is 9 courses. We did not realize how long it would take and had to rush off but the staff was accommodating to helping us out the door. We will be back again to enjoy the full experience. 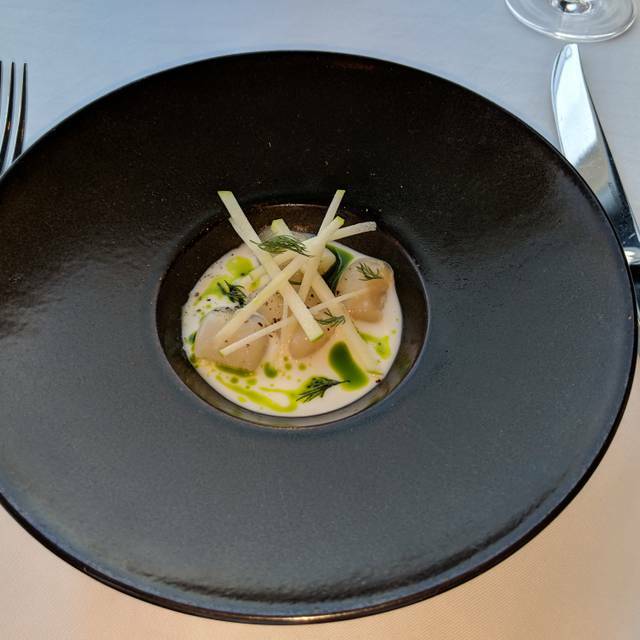 Chefs tasting menu is an extraordinary experience. As first-time diners at ON20, we were blown away. 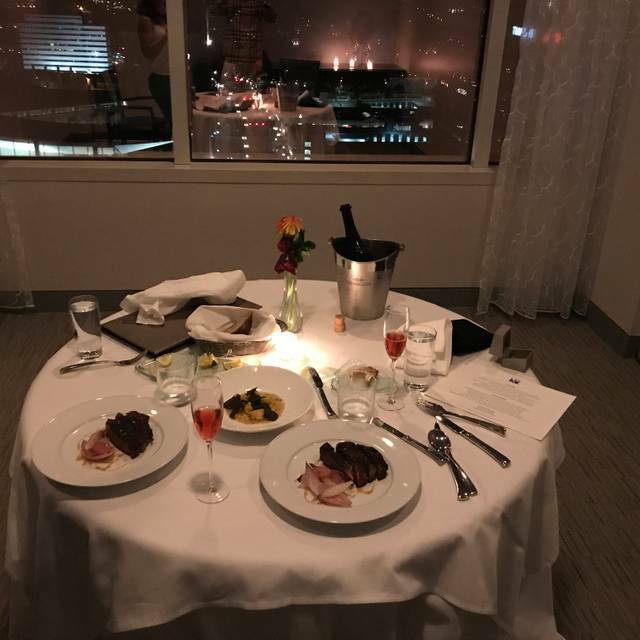 Your first observation upon entering is the ambiance of the room and how crisp the decor is and let's not forget the view overlooking Hartford. You then pay attention to the level of service welcoming you and making you feel that you're the only diner there. Our server Strat and our host were fantastic. very attentive but not bothering you every 5 minutes. 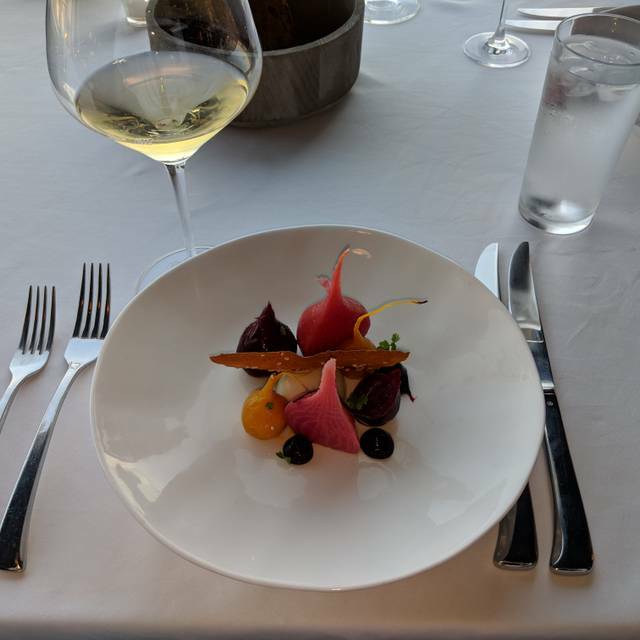 When it came to dinner, the menu looked amazing but we were very curious about the chef's tasting menu and the beverage pairings so we inquired and then ordered it. You get 7 courses and they perfectly pair a wine with each course. You are served a representation of the entire menu (Chefs Choice) you don't know what you will receive but it's from starters to desert. My personal favorites were the Rohan duck breast with seared foie gras and Arctic Char. The presentation was elegant and not overstated and the flavors were spectacular. We highly recommend ON20 to anyone, its easy to get to, you have FREE covered parking with an elevator directly to the restaurant, what could be more convenient. The attention to detail, the high caliber of food and the amazing service makes this a dining experience you won't soon forget. FOUR STARS...Bon Appetite! Amazing food, drink, and service. Honestly fantastic on all accounts. This was our fourth visit to ON20. We always enjoy our experience. From cocktails to dessert, we are never disappointed. Very relaxing. White tablecloth setting, great view of skyline, great table service and the food was delicious. So was the dessert. We were attending the Fleetwood Mac concert. By far the best part of the dinning experience was the service. Table service was great as was the bar service. The bartender was extremely knowledgeable about the wines and beer he served. Offered insight into different spirits and food. Service at the table was very attentive and nice. The food was good. But to pay that price for duck and beef tenderloin I need to be wowed. And I wasn’t. To shell out over three hundred dollars and think that I could get this level of food some place else shouldn’t happen. Would I go back? Yes. Maybe for the happy hour at the bar. An amazing dining experience. We enjoyed every part of the meal service and ambiance. Very very fancy took my girlfriend for are 1 year anniversary and the chef was giving us a lot of complementary starters it was definitely amazing the view is just breathtaking especially at night it’s beautiful definitely recommend the is fine dining restaurant prices are very fair also. Great restaurant for a special occasion. Extremely attentive service. 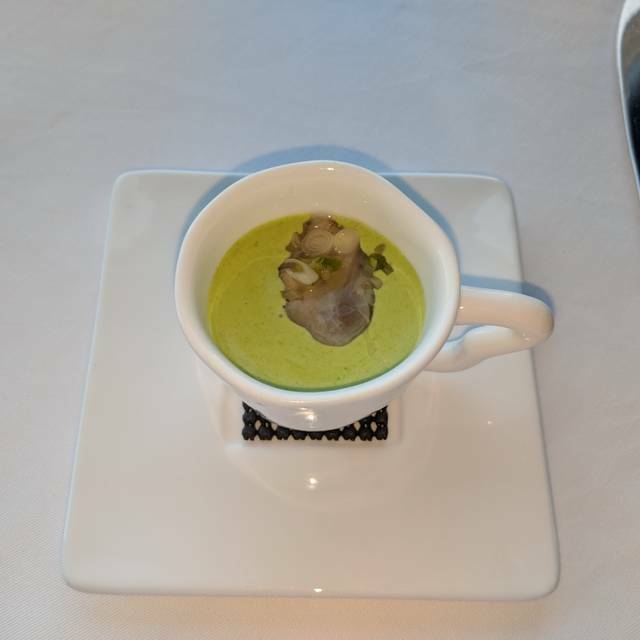 Food delicious, but not especially innovative - except for the amuse-bouche - oyster! Lovely! 1/2 price on bottles of wine on Friday evenings - we had an excellent Bordeaux. 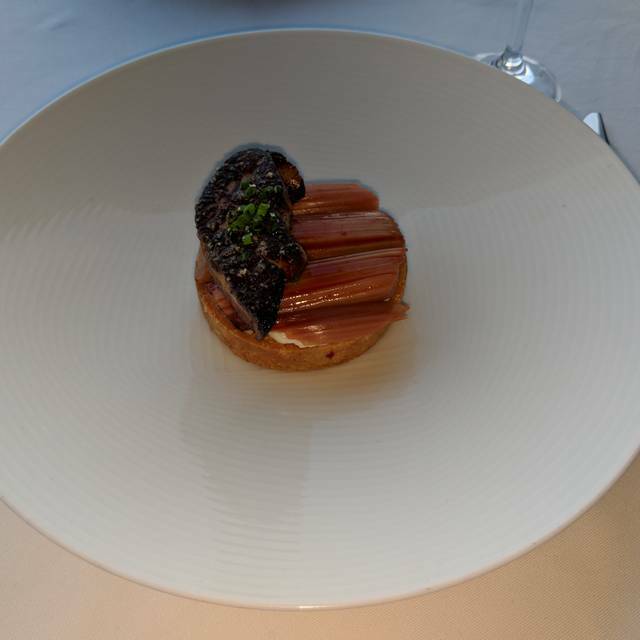 We had the chef’s tasting menu, and everything was exquisite. It was a nice long dinner, so it made the night very special. Everything slows down and you really get to enjoy the view up on the 20th floor. Chef Powers is killin’ it up there! Very small portions and I'm not a big eater. Way too overpriced for a Hartford restaurant, even if trying to be "french". Good views and setting though. We went on a very slow Thursday night. We received outstanding customer service from an attentive and friendly staff. The food and drink was very good, but a little pricey. That said, the food, drink and atmosphere combined for a very nice dining experience. Its been a while since we last had lunch at ON20 (guessing four years) and my husband and I had a very romantic afternoon. We both ordered the grand prix-fixe lunch and my dishes were absolutely delicious. The mussels and clams were smothered in this fantastic red sauce that I couldn't get enough of, the duck confit was absolutely cooked to perfection and the pear and blueberry dessert was the perfect ending to a perfect afternoon. This is by far the best restaurant I've been to this year. Also the champagne was divine, if you ever want a real glass of champagne you must come here and treat yourself! ON20 was absolutely amazing. I never knew I could get fine dining in Hartford. Parking directions are clear on their website. The host gave me a great first impression. The ambience is felt as soon as you’re guided to your table when you first walk in the dining area. The staff was amazing. My date and I wanted a table closer to the view and the staff was accommodating without hesitation. Ultimate class and sophistication. I would recommend to others but I kind of want to keep it my secret! Outstanding meal with beautiful views, and reasonably priced for what you get. Amazing food. We ordered the nine course chefs menu and everything was just delicious. My only complaint was that they didn’t tell us that a 20% tip was already included in the bill. I almost gave then another 20% if I hadn’t noticed. What a beautiful spot in downtown Hartford -- picturesque vistas of the downtown, surrounding countryside and river, lovely interior decor and superlative service and attention. We happened to dine there while the Hartford Restaurant Week menu was still being offered and were blown away by the amazing $30 prix fixe three-course dinner. Lovely traditional French, prepared and presented well. We will happily return for their regular menu! Looks like a terrific start to a date night, too, if you wanted to swing by the bar on your way out. A super find within walking distance of Infinity Hall and other downtown venues. huge change compare to 2 years ago( my last visit). definately my new favorite place now. service and food are outstanding! There was a 20% surcharge (pre-tax) on the bill. The server could not tell us what it was for, just gave us speculations of what it could be. In the end, we considerate it as tip. Overall, a very pleasant dining experience with good attention to customers. Went for restaurant week, and most of the food was very good. People should know the service charge is automatically added. I don’t think we were informed, but did notice it on the bill fortunately. Did not notice on bar bill, so service charge was overly generous for two items. It os bit expensive, but mostly worth it. ON20 is definitely a fine dining experience. My friend and I love the elegant setting and excellent service as well as the delicious cuisine. The view over the Connecticut River is stunning - this is my favorite lunch venue in Hartford. We enjoyed our evening very much. The maitre d' is exceptional, and the wait staff was very good. The view, of course, is beautiful. The food was good, although the prix fixe creme brulee was the size of a quarter. Maybe prix fine desserts are just always undersized. We went for resturant week. Service was excellent. Food was just mediocre. My short rib was dry. I wasn’t impressed with the dessert. I would go back to try out other dishes but I was underwhelmed with my experience this time. Very elegant setting. Fabulous service and attention to detail. Wonderful food. Great place, staff was very attentive. Beautiful view of Hartford. Overall, a very pleasant experience. We have been wanting to try this fine dining establishment for some time. My spouse gave me a gift certificate as a birthday gift a few months ago, and we finally got around to making a reservation. I did not realize, however, that they were only offering "taste of Hartford" menus. While it was a very good price, I was more interested in trying the regular tasting menu and wine pairing, which was not available. 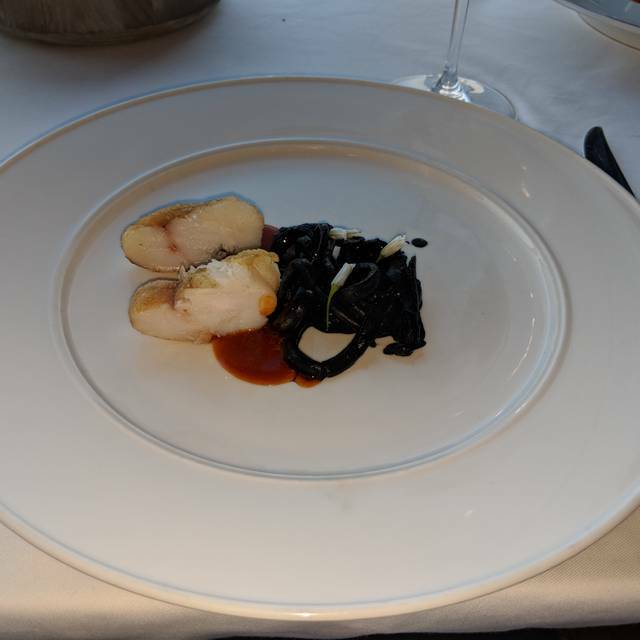 Nonetheless, I thought everything I tried was excellent and I hope to get back again to order the tasting menu or check out the full dinner menu. The staff was outstanding! The food was beautifully presented and delicious. Fantastic atmosphere! 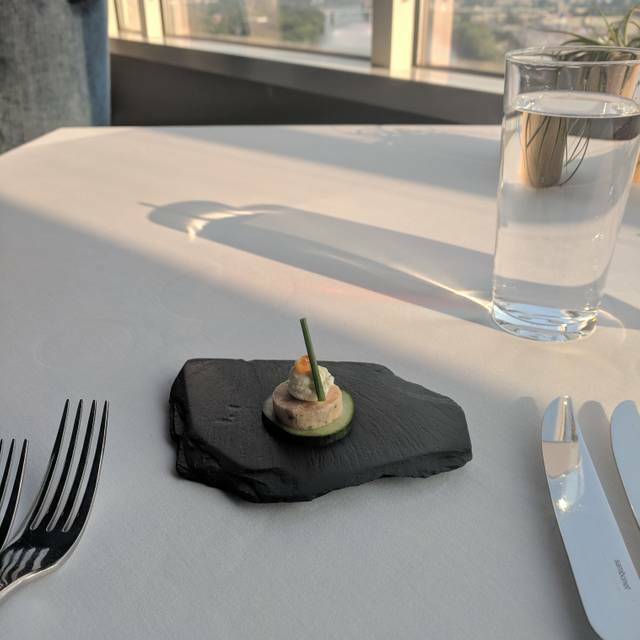 This is a very expensive restaurant and they give you very small portions and there was no real Wow affect for all the money you spend. The view was good. Fine dining in a spectacular setting with great views of the city. Very professional and attentive service. Linen tablecloths, crystal glassware and fine china. An upscale restaurant with all the bells and whistles. Menu is creative and the food is excellent. Prices to match. We were two couples at lunchtime. 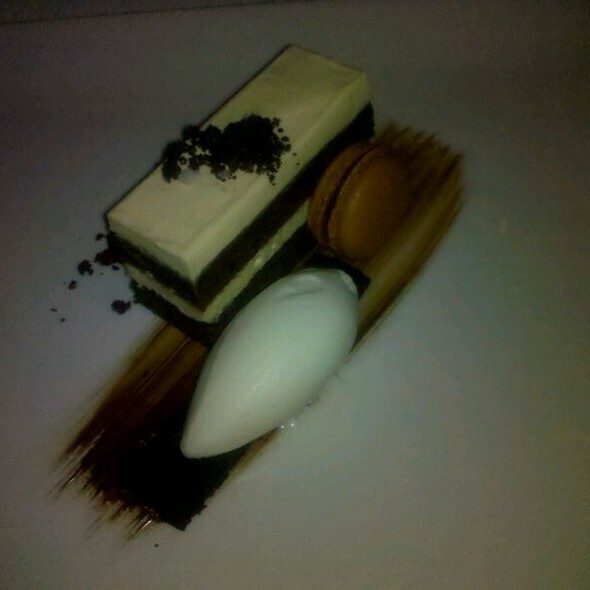 They have a set three course lunch for $35.00 which considering the quality and presentation of the food is good value. Unfortunately one couple ordered a la carte, only two courses. In reviewing the bill when I got home we were charged about $50.00 more than if we all had three courses. Any reputable restaurant would have alerted us to this and charged us the set menu price. We were the only diners at lunch and the host spent too much time at our table. The most attentive staff with utmost courtesy and absolute knowledge of their menu. My wife and I believe this is finest Restaurant in the area. Staff was very friendly and polite. We had the 1st seating new year's eve tasting menu. The pace was perfect, the food was delicious. The portions were what you would expect on a tasting menu. The beef tenderloin course was slightly "un-warm", but not cold enough to send back, especially because it was cook to perfection and medium rare is a bit of a cold center. I was not a super fan of the drink pairing, it was just not my taste and I only enjoyed 2 out 5. However, the last one they let me switch, so that made it 3 out of 5. I would go back to experience other dishes. Absolutely Amazing!!!! We each did the Chefs menu and one was paired with wine and the other with beer! ON20 needs to market the beer pairing more!!! It was spot on and Jeff knows his beer. The food and the service was excellent too!!!! We will be back indeed!!!!! Beautiful, romantic restaurant with great views of the city. Food was excellent but portions were very small. They put on a “service charge “ to your bill that turns out to be a 20% gratuity on the entire check. Would have been clearer if they called it what it is...a gratuity. Other than that, we enjoyed it. The food was unquestionably delicious. But the pace of the tasting menu made it take well over 3.5 hrs. It was simply too long. And it was very difficult to get the waitstaff’s attention to express our dissatisfaction and request it go faster. All that and a generous gratuity was included for a party of only four. I’m writing this just so other diners will realize how long it takes.